Iridium Solutions was the first company on the ground in Iraq providing Data Center solutions. Whether your preferred vendor is Cisco, HP, Dell, or a combination of the three, we can design and deploy your solution to the highest standards and levels of fault-tolerance. Cisco Data Center solutions has quickly grown to be an industry leader in this segment. With award winning UCS products matched with the Nexus family of fabric switches, Cisco provides a solid solution with world class support. Iridium Solutions holds the Cisco Advanced Data Center Architecture specialization and maintains all resources to successfully procure, deploy, and maintain Cisco Data Center solutions. Iridium Solutions is a Gold partner with Dell/EMC and maintains all resources to successfully procure, deploy, and maintain Dell/EMC Data Center solutions. HPE is changing the whole dynamic around the compute experience, so you won’t have to compromise when it comes to IT. It’s a bold statement. And with it they’re changing the meaning of the word “compute.” HPE is no longer limited to just the servers—but the whole infrastructure with networking, storage and the software that controls it. 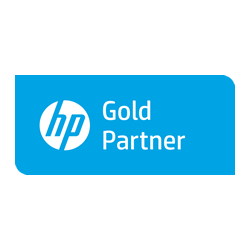 Iridium Solutions is an HPE Gold Partner and maintains all resources to successfully procure, deploy, and maintain HPE solutions.